Abstract: Amiea Sense has got some people very excited and to understand why we take a look at some of the experimental work being conducted by scientists related to evolution and intelligence, beam me up Scotty! To fully appreciate the reason why so many people are getting so exited by the release of the Amiea Sense we need to ponder some of the bigger questions such as what is intelligence, how does intelligence evolve and can inanimate objects truly exhibit what we recognise as intelligence? Scientists in a range of disciplines such as robotics, computing, biology, physics and chemistry have been asking these sort questions for several decades, are organic life forms the only legitimate source of intelligence or can we create artificial intelligence, and can non biological systems make decisions, get organised, evolve, and even compete for their success and survival? The short TED video presented by Chemist Lee Cronin from Glasgow University makes you realise just how profound these types of questions are and the implications the answers to those questions will be for us. After watching the above video, like me you might find yourself pondering the universe and how much there is still to be discovered about what defines life and intelligence. Question: What Does This Have to Do with Amiea's New Cosmetic Tattoo Device the Sense? I am glad you asked, this device has been under development for a few years now and after a couple of false starts the manufacturer has finally released the device to the market place. I am fortunate enough to have had the pleasure of using several versions of development prototypes as the Sense went through Amiea's rigorous R&D so by this stage I consider myself an expert user. The machine has lots of neat features which have not been available in previous microprocessor controlled digital devices (MPCD), but for the moment lets just focus on the core feature of the Sense the SensiDrive® and why we think it is such a remarkable achievement by the team at Amiea. Penetrations Per Second (PPS) - penetration speed will affect how much pigment is implanted and how much skin trauma occurs with each pass. Factors 4-7 are controlled by the technicians hand movements and hand positions. As you can see there are 10 major factors that have a direct influence on how much pigment is implanted, the depth that it is implanted and the dispersal of the pigment with so many variables it is easy to understand why technicians sometimes feel frustrated that even though they use the same settings for their clients they sometimes get different outcomes, quite simply because any one of the 10 variables can affect the outcome and these are just the mechanical factors of course there are pigment and healing related factors that also affect the outcome. Skin Recoil is not something that gets talked about very often but it has an impact on both the implantation depth and retention, skin resistance and recoil are the very reason why cosmetic tattooists are taught to use a stretch & hold technique during procedures. 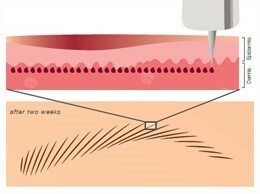 The illustration below highlights how even with the correct needle depth pigment can end up being implanted in the epidermis rather than the dermis due to skin recoil; stretch & hold is an important part of controlling skin recoil, as well as maintaining tip to skin contact during the line and selecting the right PPS. The short video below illustrates the irregularity of needle penetration depth when skin recoil is exacerbated (the first half of the video) vs. when recoil is controlled (the second half of the video). The R&D team at amiea have done a lot of work attempting to create a device that assists with problems such as skin recoil, variation in skin resistance, change in skin density (due to areas of scar tissue or delicate/frail areas of skin etc) and this is where the SensiDrive® function comes in to help. The needle frequency slows down when lower skin resistance of softer skin is measured. This is optimal for soft shading of areola or lips. 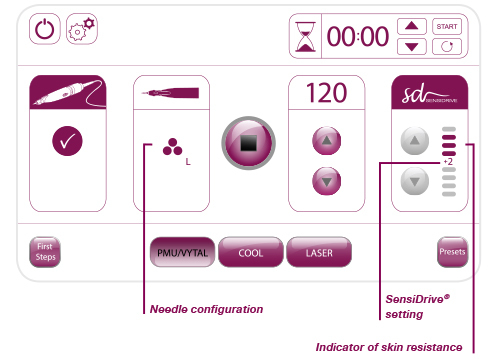 Sense is constantly operating on the same needle frequency, regardless of the skin resistance. The neutral mode is recommended for all regular pigmentation techniques. Sense increases the needle frequency when the SensiDrive® function measures more resistance on harder or thicker skin. This is especially recommended for lining techniques such as hair strokes and lip contours; the power mode allows for precise and very accentuated lines. To make the SensiDrive® functionality possible a minor miracle in development was required; firstly the amiea team needed to create a hand piece that contained a senor chip that could measure the resistance as the needle penetrates the skin and then the hand piece needed to transfer that information back to the base station, the base station would need to be smarter than any MPCD base station that had ever been created previously because it would need to analyse the skin resistance data provided by the hand piece and make decision about an adjustment in Force/PPS to compensate for changes in skin conditions and because the technicians hand is moving across the surface of the skin this would all need to happen very quickly. One more thing that needed to be considered is when a change in skin resistance was detected should the device increase the PPS and become more forceful or should it reduce the PPS and become less forceful? The obvious answer to this question is that the technician should be provided ultimate decision about what should happen based upon their evaluation of the clients skin integrity and the area being worked on. The images below illustrate the difference between pigment deposits with uncontrolled vs. controlled implantation depth (keep in mind that recoil affects depth). As you can appreciate the development of the revolutionary new Sense Hand Piece and SensiDrive® functionality is a remarkable engineering achievement and it provides technicians more control over the device related mechanical factors and some additional options to compensate for the client related mechanical factors. The Sense is the first Cosmetic Tattoo device that has a degree of sensory awareness of the client and changes its behaviour based upon the technicians requirements. Attachment for optional Cool-Spot cryo device - high technology skin cooling to help control pain and swelling. Automatic recognition of the cartridge type - when a new needle cartridge is attached to the hand piece the base station recognises and displays the cartridge type on the display. TPA cartridge system - Click in needle cartridge that comprises technicians grip area, the cartridge itself does not need to be covered with a barrier during the procedure providing less hand slip during use. Touch screen - Large touch screen with logical control system. 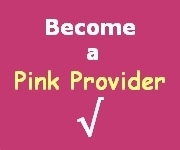 Suggested needle - Select the service you will be performing and the Sense will make needle suggestions for your chosen treatment. 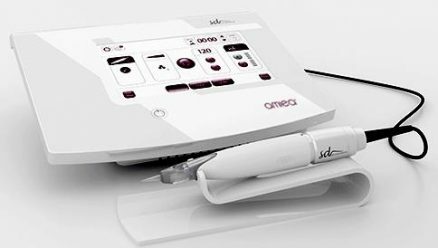 Predefined procedure settings - select the service type and attach your chosen cartridge the Sense will automatically set a PPS for the chosen needle cartridge, a great feature for new technicians as the Sense almost holds your hand throughout the procedure. We cant call it artificial intelligence but it is perhaps the first device manufactured for our industry that has taken a significant step in that direction, and sometimes when I look at the Sense control panel I almost feel like the Sense knows I am there. Copyright © 2015 CosmeticTattoo.org & the article author All Rights Reserved. No copying, transmission or reproduction of site content is permitted without our prior written consent. Disclaimer: The content of this article should be regarded as general information & is provided solely for the purpose of discussion & is not intended to replace cosmetic tattoo training or medical advice in any instance, always check with a cosmetic tattoo master trainer and or a qualified medical practitioner before acting on any information regarding cosmetic tattooing or in relation to any medical condition or medical circumstance.